When making several dies of equal width and thickness, a good method is to plane the two sides of a bar to remove the outer surface and to bevel the edges to the required angle. Pieces can then be cut off to any length wanted. The upper surface of the die bar may be finished smooth by planing with a smoothing tool; it may be ground in a surface grinder, or it may be finished with a file. It is necessary to have the surface smooth in order to lay out the correct shape of the hole; a roughly machined surface would allow neither distinct nor correct work. The die must be laid out in such a manner that the stock may be readily fed to it. If the grain of the stock is a matter of importance, as in making a tempered spring, the worker must take care to see that the grain runs in the proper direction. The face, or upper surface, of the die is covered with the blue vitriol solution, and the outline of the piece to be punched is laid out. After the die has been carefully laid out from a templet or drawing, all round corners should be drilled with a drill of proper size; they are then reamed from the back side of the die with a taper reamer to give the desired clearance, and the balance of the stock is removed by drilling, as shown in Fig. 312. Fig. 309. Form of Holdfast. Fig. 310. Die in Holder. Fig. 311. Easily Set Die Holder. The method of removing the center, or core depends on the custom practiced by the individual die-maker. One die-maker may drill the holes so that they break into one another, and for him the best tool is a straightway (straight fluted) drill. Another will drill small holes and use a counterbore to enlarge to size, the counterbored holes breaking into each other. Usually the holes are drilled with at least 1/64 inch to 1/32 inch between them, and the intervening stock is cut out with a flat-ended hand broach, Fig. 313. 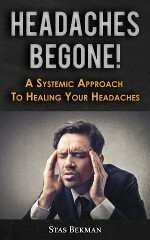 Generally speaking, the last mentioned method is the safest and quickest. After the center has been removed, the die may be placed in a die milling machine or a die sinking machine; and by the use of a milling cutter of the proper taper, the desired angle of clearance can be given. The amount of clearance varies with the nature of the work to be done. 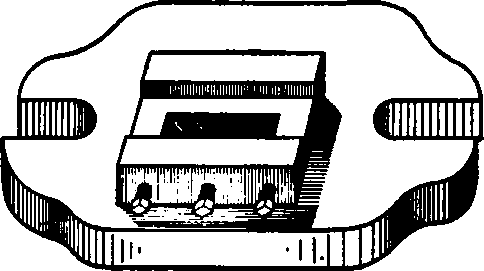 When a die is milled on a die milling machine of the form shown in Fig. 314, the cutter spindle is underneath the die, the face of which is uppermost; consequently the milling cutter can be made largest at the shank end of the cutting part, the required taper being given as shown in Fig. 315. 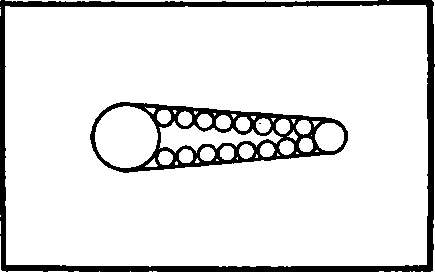 If the outline of the hole is milled on a die sinking machine, it is necessary to use a cutter of the shape shown in Fig. 316, in order that the face of the die having the lines will be uppermost. Fig. 312. Removal of Stock by Drilling. Fig. 313. Flat-End Hand Broach. After working the impression as near to shape as possible by milling, it can be finished by filing. In order to give the die the proper clearance, the walls should be gaged with a bevel gage of the form shown in Fig. 8, Part I. As the clearance differs in various shops, and on different classes of work, do stated amount can be given for all cases; it varies from 1/4 degree to 3 degrees. The latter is excessive, and is seldom given unless it is necessary that the piece punched drop from the die each time. If the die is milled as just described, it will be necessary to work all corners to shape with a file. If a universal milling machine having a slotting attachment is used, the corners can be properly shaped and the necessary clearance given by using suitably shaped cutting tools, and turning the fixture to the proper angle. Fig. 314. Die Milling Machine. Fig. 315. Di Milling Cutter. Fig. 316. Cutter for Dis Sinking Machine. Fig. 317 shows a slotting fixture attached to a universal milling machine; while Fig. 318 shows a fixture known as a die shaper, which is also attached to a milling machine.